Are you a writer? 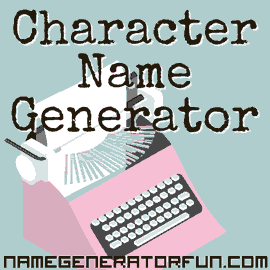 Do you need to name a fictional character for your novel or play? Choose a historically and socially accurate name with the European American name generator! For most Americans with ancestors of European origins, their naming customs will often match closely with their original country. The structure of 'given name, middle name, family name' is fixed throughout most of the population of white Americans, though the laws relating to names in America are relatively loose, with some states only imposing restrictions in terms of the number of characters in the name (due to software restrictions), while others will prevent parents from giving a child a name that could be interpreted as obscene. There are even states like Kentucky, where there are no restrictions whatsoever on parents naming their children. Naming law can sometimes be controversial (as in a case where a Tennessee judge tried to prevent a child from being named 'Messiah', but was eventually fired for showing religious bias, since there was no law preventing such a name being used). Since many of the first European colonisers were Christian Puritans (especially in the early 1600s), religiously-themed names have a long history in America, with names like Jacob, Noah or Elijah still ranking highly amongst parents. Religion can have a significant effect on names for Mormons, who often deliberately combine the first names of parents or grandparents (meaning that, for example, 'Lewis' and 'Amanda' could end up becoming 'Le'anda'); they also commonly select unusual and eccentric name spellings (including Alysoon, Leee, Tymberlee and Katlynn), as well as utilising French prefixes like 'Le–' or 'De–' to make new names (such as DeBekka or LaJune). Another naming custom that has evolved primarily amongst white Americans is changing surnames into first names, an idea that allegedly originated in the American South in the early 20th Century, when poor immigrant families chose given names they viewed as sophisticated and aspirational. Thanks to this, names like Riley, Madison, Morgan or Cameron have evolved into common first names – and while many remain unisex in terms of their usage, others have shifted towards more specific gender uses (such as Tyler and Taylor – they both started off as unisex names, but Tyler is now primarily used to name boys, while Taylor is almost always a girl's name). American names are also often strongly influenced by commerce or popular culture – like with the first name Tiffany, which started life as a surname, but gained prominence in the 1960s and 1970s thanks to the success of the jewellery store Tiffany & Co, and also Blair, which was largely seen a masculine name until it was used on a female character in the 1980s TV sitcom The Facts of Life, and the name gained serious prestige as a result. This shift in attitudes also occurred with the name Samantha, which was little-known in America until an 1870s book series by Marietta Holley popularised the name, and which received another boost in the 1960s thanks to Samantha being used for the protagonist of the popular TV comedy series Bewitched. Image Credit: Retro typewriter designed by Rawpixel.com. Licensed under CC BY 3.0.